Spirit 1, Dispatch and Connect teams are ready to serve you! 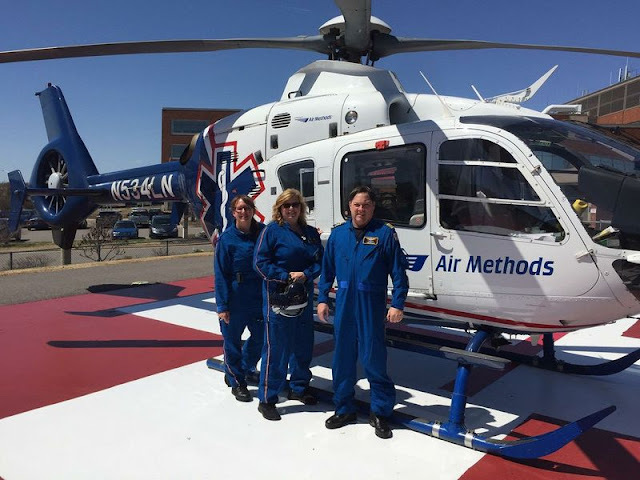 First flight back in service for the Spirit 1 crew of Pilot Mike Chase, Flight Nurse Carolyn Schneebeli and Flight Paramedic Kathy Larson. WOODRUFF, Wis. (WAOW) - Roughly 10 days after a deadly helicopter crash in the Northwoods, the Spirit air ambulance took the skies once again. Ascension Wisconsin Spirit Medical Transport posted on Facebook Saturday that Spirit 1, dispatch and connect teams were headed out on their first flight back in service.